Welcome To The Future Of Money In Your MobiIe. eZ Cash is a revolutionary way of sending and receiving cash from your mobile, to anyone, anywhere and at anytime as simply as sending an SMS. With eZ Cash you can now send and receive money with over 7.5 million Dialog users and at over 10,000 eZ Cash points, anywhere across the country. 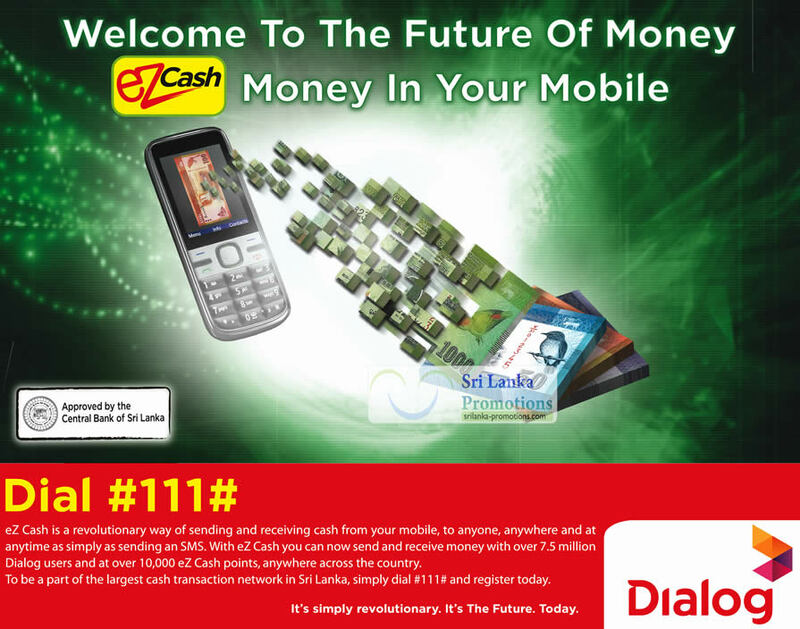 To be a part of the largest cash transaction network in Sri Lanka, simply dial #111# and register today. This unique service is available to you even if you don’t have a bank account. Perform a wide array of financial transactions using your Dialog mobile phone anytime, anywhere! eZ Cash enables you to have a Cash Account in your mobile phone in to which you can top-up money and then carry out a range of cash transactions direct from your mobile phone. 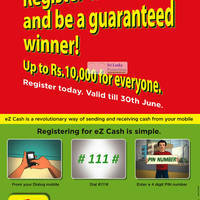 You can also withdraw money from your eZ Cash account at any time you wish. 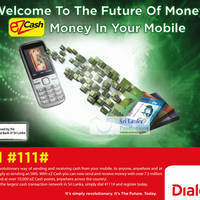 All postpaid and prepaid customers of Dialog can now enjoy the facility of an eZ Cash account.